Beautiful 2 bedroom holiday home to comfortably sleep up to 4 near Annecy, Alps. Ideal for a family holiday, this self catering home has everything to make your holiday unforgettable! On site parking. Satellite TV. Airport within 1 hour. Pets not accepted. 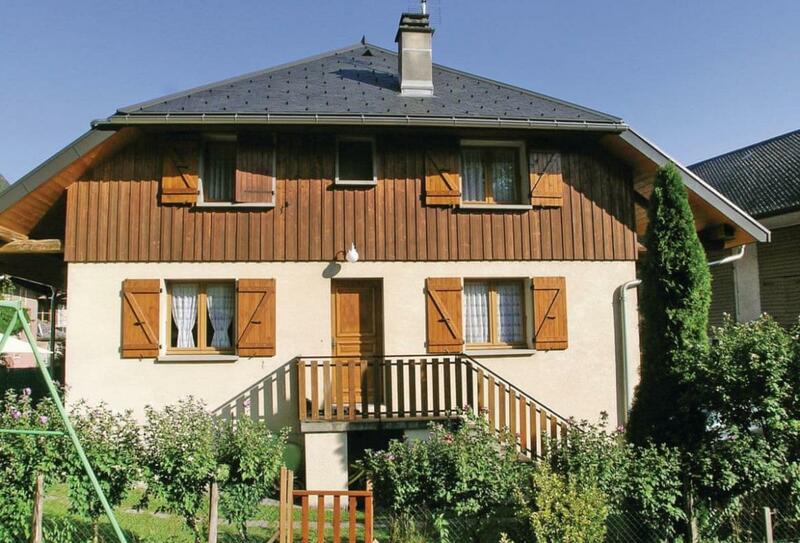 Located at the foot of the Bauges mountain range in the region of Annecy and only 5 minutes from the the lake beaches, this charming semi-detached holiday house has a flowery enclosed garden. For shops and restaurants, the town of Doussard is 5 minutes away and Faverges is a 10-minute drive. The nearby Lake Annecy offers a variety of water activities that will delight young and old, with sailing, pedal boating, swimming on supervised beaches, water skiing and fishing. By visiting the cities of Talloires and Annecy, you will discover beautiful landscapes and architecture typical of the region. The Forclaz mountain pass and its paragliding base is world famous and so are the many hiking and climbing routes (Via Ferrata). Many low mountain hikes are possible from the holiday house, but you can also treat yourself to the canyoning and cycling on the Greenway Cycle Route, 800m from the property. The golf course at Giez is a few minutes drive. It is a charming holiday home for a relaxing stay in a beautifully preserved area. Shop and restaurant 3km. External steps to entrance. Ground floor: Lounge/kitchen/diner. Separate toilet with basin. First floor: Bathroom with basin (no toilet). Separate toilet. 2 bedrooms: 1 double, 1 twin. Electric heating. Satellite TV. Wi-Fi. Washing machine. Dishwasher. Fridge. Microwave. Lawned garden. Garden furniture. Barbecue. Garage parking for 1 car. No smoking please. Sorry, no pets. NB: Sloping ceiling in double bedroom. Steps in garden.